Income Tax Memo helps ensure optimum tax efficiency. It provides full income tax coverage, concisely explaining the legal and practical implications of income tax planning. 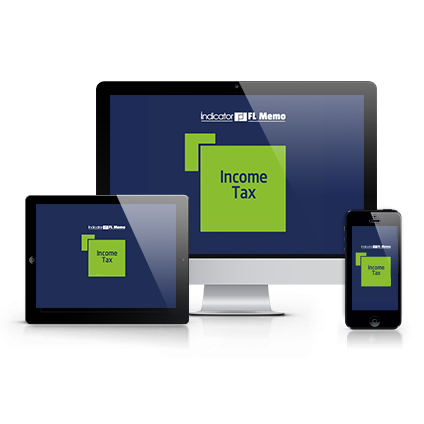 Continually updated, it allows you to stay on top of all legislative changes, new case law, HMRC material and other sources. Income tax planning can be frustrating and complicated. That's why our Income Tax Memo is written in an easy-to-understand way and crammed with real-world examples. It quickly helps you find all the available reliefs so you can lower your income tax bill. Chapter 1: What is a business activity?